June 16th marked the opening dedication of both Dan Das Mann and Karen Cusolito’s sculpture, ‘Passage’, and the newly rennovated breakwater which is now a public access pier — Pier 14 allows residents and visitors to San Francisco to walk some 637 feet out into the bay for 360 degrees of stunning views. Without the hard work, bood, sweat, and heart of everyone involved this installation could not have happened. Thanks to all! And congratulations to Dan and Karen, who celebrate both their first wedding anniversary and the first birthday of ‘Passage’ this weekend! When ‘Passage’ was originally installed at Burning Man 2005, Event Founder, Larry Harvey, asked Artist, Dan Das Mann, why the mother and child sculptures were pointed toward the open playa and decidedly away from ‘the Man’, the effigy which is the namesake of the event. To which Dan replied that the sculptures were leaving Black Rock City, heading out to live their lives in the great big world beyond. 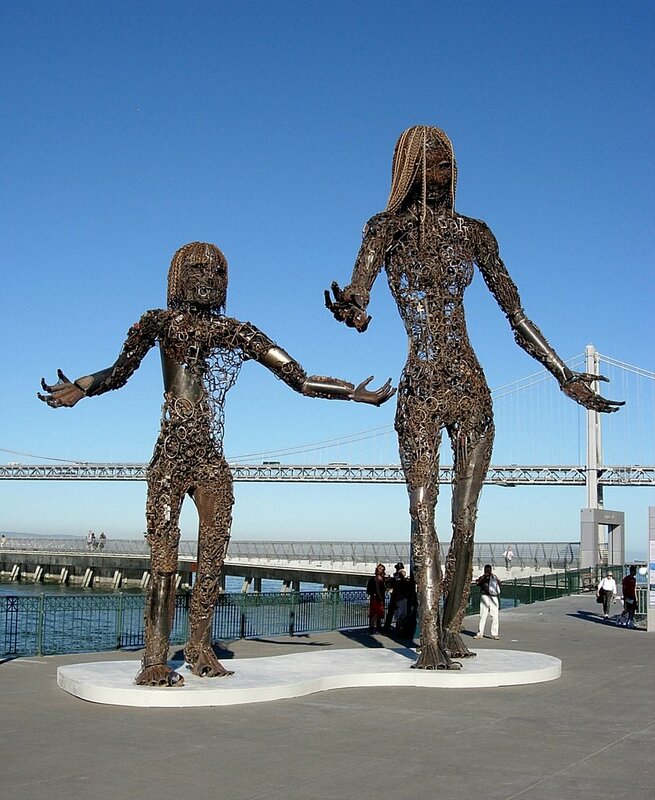 On June 16th the mother and child duo arrived, as if from the sea, on the San Francisco Waterfront! 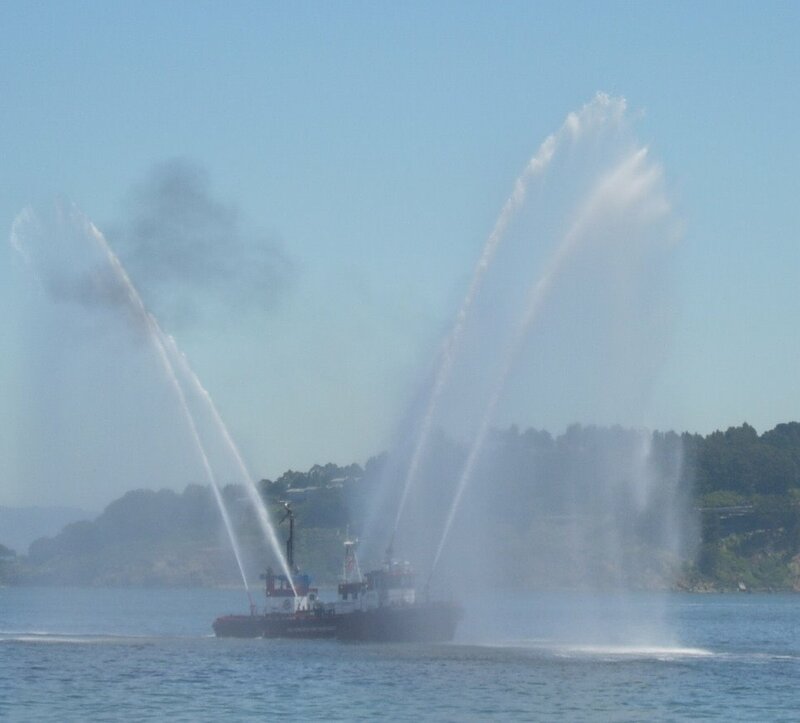 To mark this momentous occasion, an SF fire boat, like a jubiliant whale, spouts water…. 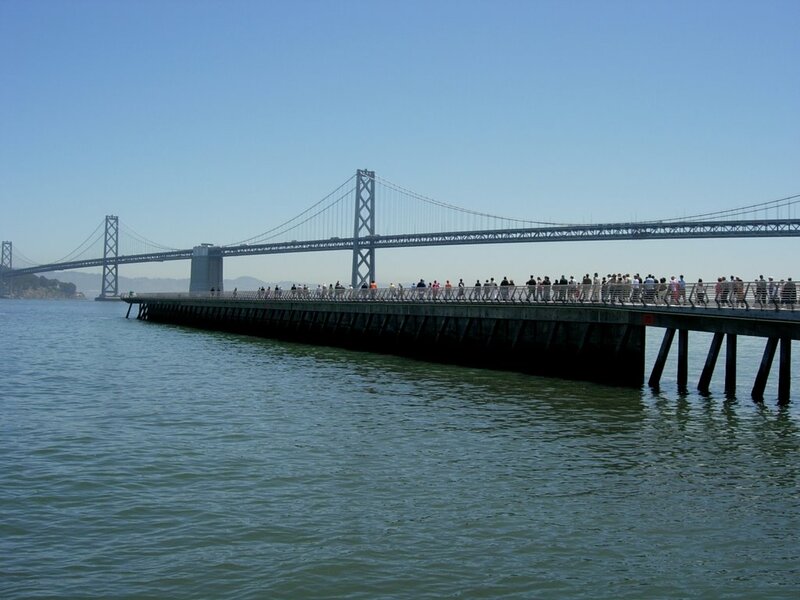 as residents and visitors to San Francisco take the first pubic walk on the newly dedicated Pier 14!